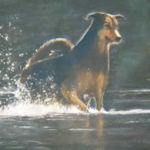 Sabina Bye is active in the Carson Valley Art Association and the Nevada Artists Association. Her work is exhibited at the Brewery Arts Center Gallery in Carson City. 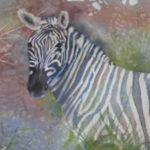 Sabina utilizes several mediums and has won several awards for her work in pastels. She especially enjoys painting portraits. 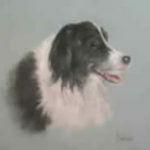 Sabina also offers portraits on commission and a wide selection of prints. A “Southern California transplant,” Sabina Bye is active in the Carson Valley Art and the Nevada Artists Associations. 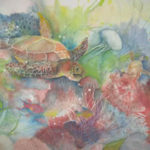 Her work is frequently exhibited at the Brewery Arts Center Gallery in Carson City and at Western Nevada College on Buckeye in Minden. Sabina began painting landscapes and seascapes in oil over 40 years ago, and only dabbled at watercolor and pastel. 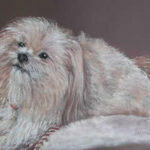 It was not until she retired and moved to Minden, Nevada that she got serious with pastels and water color and was encouraged by winning several awards in the mediums. 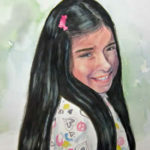 She loves doing miniature landscapes of local scenes and especially enjoys painting portraits.